Question to Radhanath Swami: I have often heard that a devotee should be Krishna’s dog, ready to do everything to serve him. 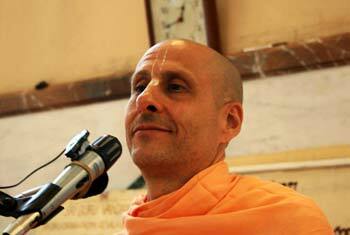 Being a beginner on the path of bhakti this kind of surrender seems to be too high an ideal. How should I adjust my life with this principle? 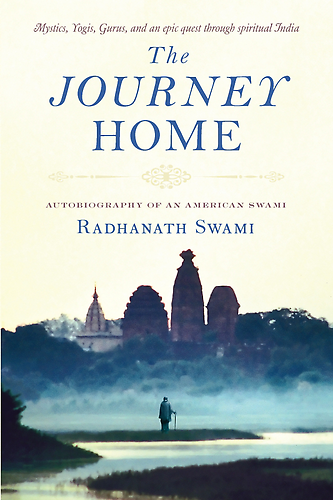 Radhanath Swami: To be Krishna’s dog is our aspiration and we may be many miles or light years away from that ideal, but we must hold that ideal as sacred in our hearts. When we hear about Krishna’s pastimes in Vrindavan—especially the pure, unconditional, selfless love of the gopis—though our hearts are far away from that ideal, it still remains our aspiration. We may still be aggravated by petty egoistic problems, while these great souls are compassionately delivering the material world. However far we may be from this standard, we hold their examples to be the sacred ideal enthroned on the altar of our aspiration. Thus, we have something to work for, something to strive for and something to pray for, however long it may take. And we never compromise or substitute that ideal. Traditionally, the dog has been most noted and respected for its loyalty to the master. There are true stories of dogs that without thinking twice are willing to risk their lives to save their masters. And actually, when a master takes nice care of the dog, that dog is so loyal and faithful to the master that it can do anything for the master. Similarly, to be Krishna’s dog is to remain loyal, faithful and to take a humble position in our loving service to Krishna, under all circumstances. Real devotees do not want a high position. They always want to put Krishna and others in high position. 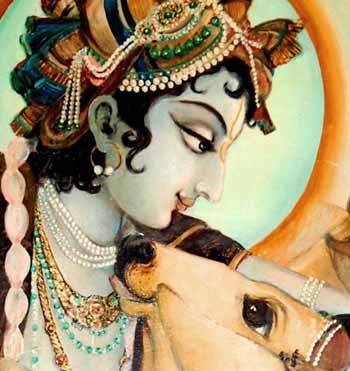 They simply want to be a faithful dog to Krishna. That is a very high state of consciousness and we may be far away from it. But that should be our aspiration, to develop that quality of loyalty and faithfulness.